John Arbuthnot Fisher, 1st Baron Fisher (1841-1920), Admiral. Sitter in 17 portraits. Sir Hubert von Herkomer (1849-1914), Painter and illustrator. Artist associated with 50 portraits, Sitter in 11 portraits. Fisher was an efficient administrator whose reforming influence was felt throughout the navy. 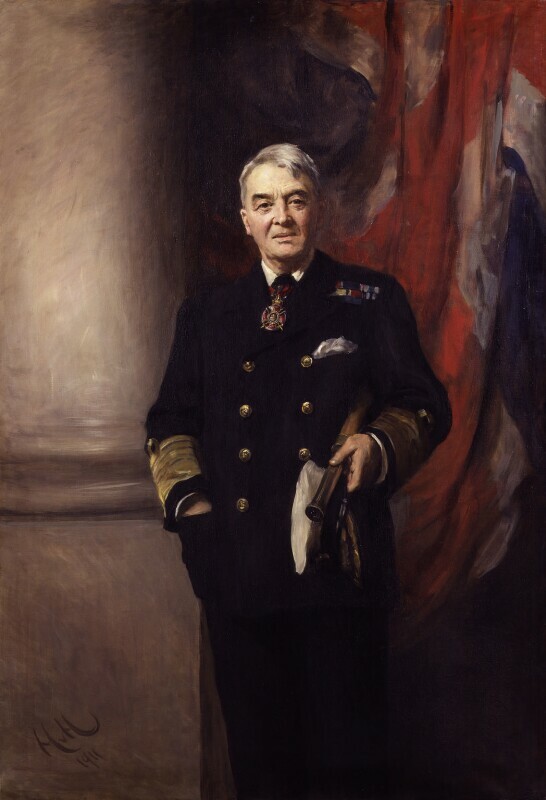 This portrait, in which he wears the uniform of the Admiral of the Fleet, was painted just after his retirement as First Sea Lord in 1910. Fisher returned to office on the outbreak of war in 1914. He strongly disapproved of the Gallipoli campaign and resigned over the increasing demand for ships in the Dardanelles. Given by the sitter's son, Lord Fisher, 1936.